Hi Paul, what's the plan for 20th? We've got a rapid Jet who lives on the island and I'm sure would love to join you if poss. 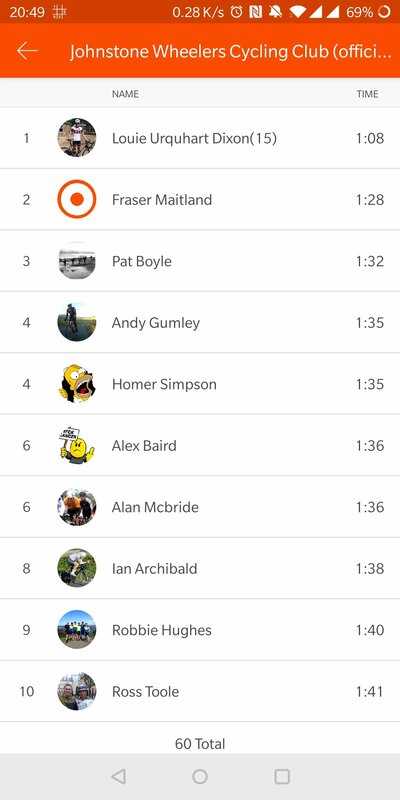 He’s been taking all my strava KOMs on the island! Hi Paul - what's the 56+50 ? Lap of the island then a slightly shorter lap going over the Ross . Let the madness commence ! Plan for 20th, weather being reasonable, is a standard SA, 0700 ferry, 0805 approx rubber on road, lap of island and back on 1105 ferry. I'll be there pending decent weather. And of course it goes without saying that a rapid jet would be very welcome ! Cheers Paul, have passed on the info. Will let you know if he plans on joining. you know that non attendance on Saturday is an effective surrender of all your Isle of Arran KoMs? Sorry can't join but will be across later in year for a cheeky single. Louie just got EW string KOM today. Suggest you stick him at the front. All the way.